Here is my latest, completed sci-fi project. 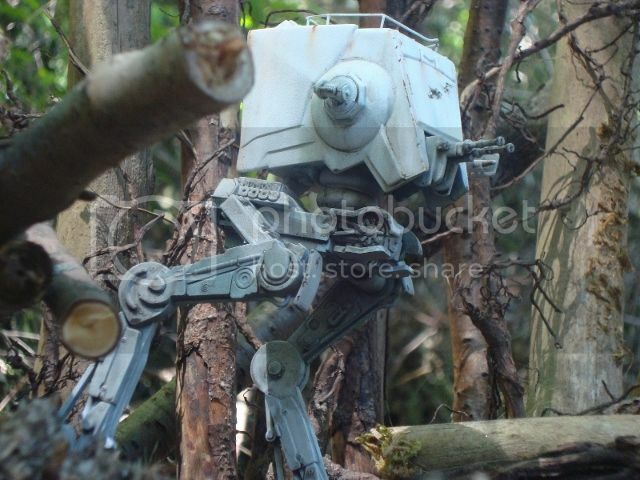 It is the old MPC Ertl snap together AT-ST kit. I have heard many complaints about this kit but I wasn't too disappointed with it. It did need quite a bit of filling and sanding but I fairly enjoy doing that aspect of building...To a point! The grab rail around the top was made from fine wire. The model was airbrushed with a custom mix of Tamiya acrylics and weathered with artists oils and dry pigments. The base was made of styro-foam and plaster mounted to a cheap picture frame. 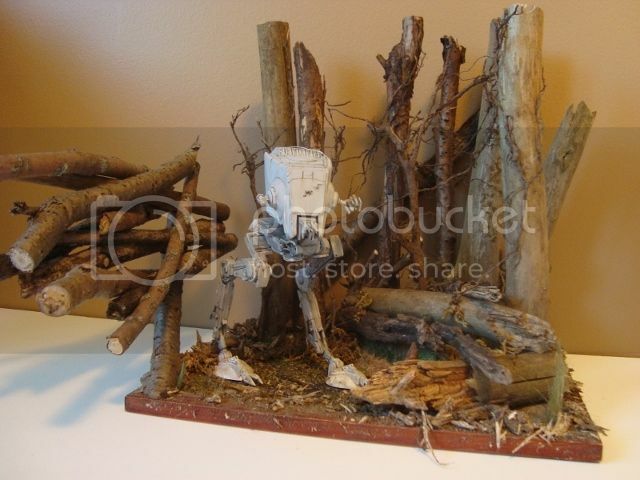 The tree trunks and vines were made of sticks and flower roots from the garden. 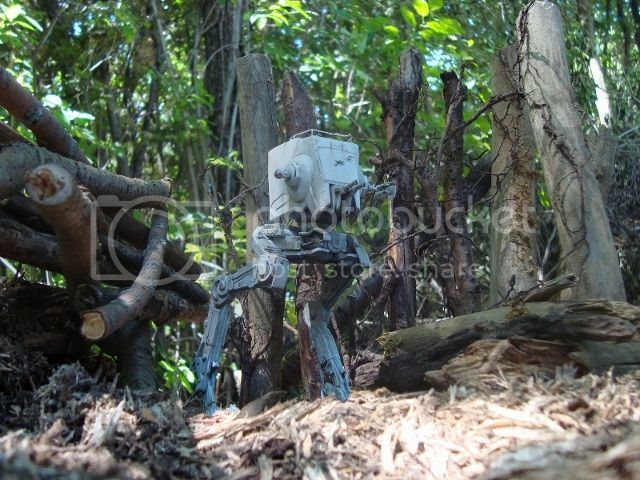 Some Woodland Scenics supplies and Earth Colors were used to complete the scene. 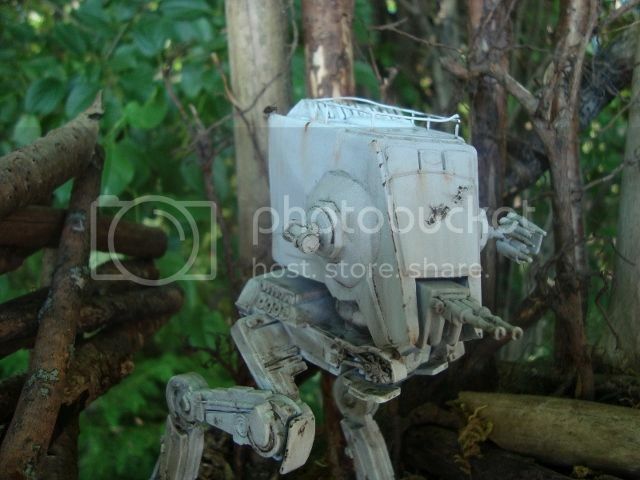 Some photos were taken outdoors in the woods. I had a lot of good fun working up this scene! Thanks very much for having a look!! I can see I will have to work on sizing my pictures properly! OK...I think I have them sized right now. Nice to see it Again! With the background Added it looks the Part! Great work! I like the first picture, and the rest are good too. Thanks for sharing.